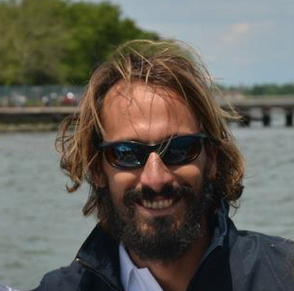 Skipper Enrico Tettamanti has been sailing since he was a child, and during the last 20 years as a skipper, he has travelled more than 150.000 miles across every sea of the world. 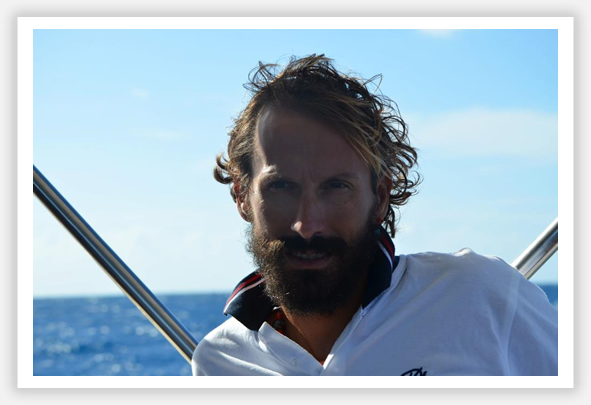 In 2002 he started his first project ‘Kamana’, extreme sailing accessible to all. The project has enabled him to sail to the most remote parts of the planet. Since then Kamana has become a synonym for exploration and expedition, of visiting places where only few go. Explorer by nature and profession, he is capable of bringing anyone with him on his adventures, in total safety. He is one of the few skippers in the world to have reached all the most important polar destinations, Antarctica, Greenland and Alaska. He is a great sportsman and always ready to share his passions with his guests. From windsurfing to mountaineering, from spearfishing to paragliding, from kitesurfing to free ride skiing, always using the boat as base. 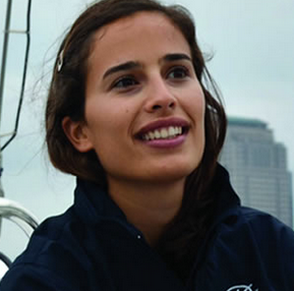 He is married to renowned chef Giulia Azzalli, with whom he shares every single moment on board. Giulia adapts her recipes to include local products and to create new dishes and fusions. 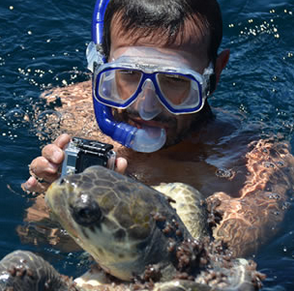 Giulia shares Enrico’s passion for spearfishing and she is also passionate about filmmaking, meaning your trip on board will be beautifully documented in a series of professional videos.